When you are in a place like London, it can be tough to make a choice. There are many options, but you need to choose the best video production company, and High tower does more than just produce great commercials. We aim to use the power of visual storytelling to not only get your product or service in front of your audience, but also to create a connection that will ultimately translate into sales. That is why you advertise on television in the first place. When you choose a medium as powerful as television, you should work with creative minds who have the expertise to communicate your marketing message effectively. Television advertising works because it allows for powerful visual storytelling that reaches millions of people simultaneously. From the early 20th century, television has fascinated people and been used as a highly effective communication tool, and many businesses have been able to build and grow their brands using this high impact channel. From single campaigns to longer term projects, television advertising works. Provided that you partner with a company that understands how to use the platform, you will reap the rewards of television advertising. When Netflix hit the market with its ground breaking pay-as-you-watch format, concern was raised as to the fate of the television advertising industry. Although other content streaming platforms have sprung up subsequent to this, television advertising has not been affected as was expected. Yes, Netflix offers the audience uninterrupted viewing, but there is no evidence that people will stop watching regular television. Television remains a powerful advertising channel. Even digital companies such as Facebook, Netflix and Google have dedicated up to 60% of their marketing budgets in the United Kingdom alone to television advertising. One of the most advantageous features of television is its ability to completely captivate the audience. Their senses are fully engaged, so they are more likely to pay close attention and internalise messages. With clever commercial placement, you can catch the audience segment that matters most, when they are paying the most attention. Television allows brands to communicate their messages to a wider audience and within a shorter time frame than with other channels. The fact that the audience can hear as well as see your message in motion lends you a certain degree of credibility that you cannot replicate elsewhere. With television, it’s easier to use instruments such as personality and imagery to get the audience to trust you, and therefore engage more with you. Why Are Commercials So Important? Commercials are important because they establish the perception that you are trustworthy, convincing and important. Customers are more willing to trust brands that can afford to have their products advertised on television, and television commercials provide a better opportunity than other channels to creatively communicate your message to a wider audience. Are TV Adverts Really Expensive in London? Television advertising can be expensive, but it does not have to push the limits of your budget. One of the most important factors affecting cost is the screening time. As much as you might want your commercial to feature on the show with the highest number of viewers, this may not be the most cost effective route for you. Peak times are expensive, and they may not be as effective for your brand as lower-priced time slots. The ideal spot for a brand would be a programme with an audience demographic that matches their target customers. Factors such as the frequency of repetition, season and even the day of the week all matter. At Hightower, we are as concerned about ensuring that we produce an effective commercial as we are about helping you stay within your budget. Let us help. From the City of Westminster to Lewisham and every London borough in between, Hightower video production company delivers high-performing commercials. We do everything from scripting and shooting to post-production and media buying to ensure that you get the best out of television advertising. We’re a full service agency staffed with experienced professionals who are passionate about helping brands to tell convincing stories about their products. Having worked with a number of satisfied clients in and around London, we can guarantee that we will make you as happy as we have made them. We pride ourselves on quality service that produces convincing results. We take pride in every single project that we have worked on and are looking forward to achieving great things with you. Video production is as much a science as it is an art. Skilled in both the creative and technical aspects of video production, our professional team at Hightower is made up of editors, cinematographers, visual effects artists, sound engineers and more who all work together to translate your vision into a convincing commercial. You can trust us to produce a video with perfect production quality from the first second to the last. Television is a captivating medium, but you have to work hard to get the audience to truly notice you. With so much attention grabbing content available already, you need to do more than everyone else in order to entice the audience. We know how to produce attention grabbing and results driven commercials. 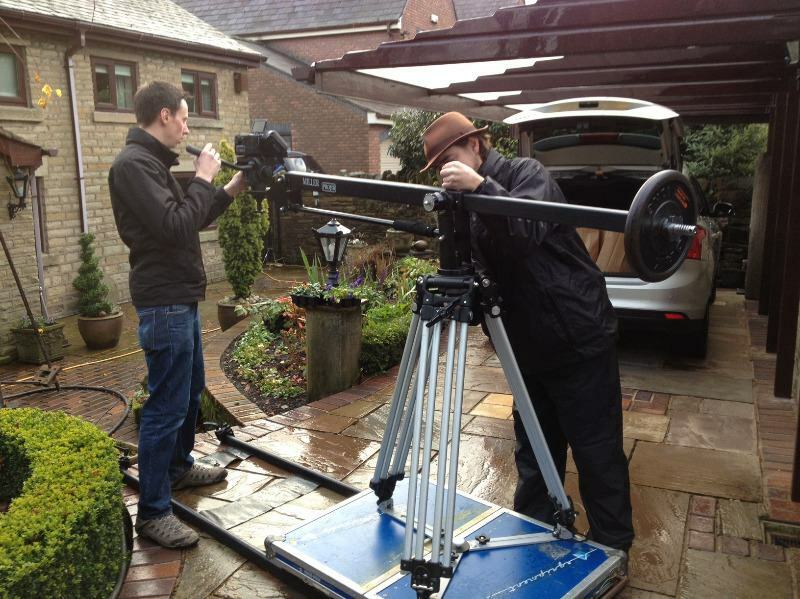 We also know how to ensure that you don’t spend more than you need to for a high quality commercial. If you need a cost effective video production genius, let us help you. It is easy to underestimate the amount of work that goes into every second of quality video production. From script to screen, there are creative minds and technical hands working together to ensure that your final product is perfect. The hard work of the television advertising production process from pre-production to production and finally, post production, is work that we will happily undertake on your behalf. Long before the final product hits the air, there would have been several hours invested in planning and preparing before the filming itself. Pre-production planning is essential in order to ensure that everything that follows does so without any hitches. It is during the pre-production stage that the script is written, the actors are hired, the equipment is rented, the shot lists are created, the props are collected and the location scouts get to work. This stage is also essential for ensuring that we will stay within the budget for the project. To prevent overspending, we will carefully plan the precise scheduling for the shoot. This is the part where the actors say their lines and all the sequences for the commercial are filmed. The director takes charge of the filming process using the shot-list and shooting script. They are in charge of making sure your vision is properly translated by the talent on set. Sometimes, filming can take as long as a week and in other cases, it only takes a day. Whatever the timing, we would have been adequately prepared from the pre-production stage. Whilst the production stage is where much of the action happens, post production is equally important. It is at this stage that our editors and special effects artists begin work. They are the ones who tie the final commercial together, arranging the shots and adding artistic elements where necessary to really emphasise your message. It is in post-production that we add elements such as the musical scoring, dubbing, and special effects that really make a video commercial stand out. The production team is made up of several talented and experienced professionals who are creative and technical geniuses. They include producers, directors, editors, sound recordists, visual artists, special effects artists, animators and scriptwriters, all of whom are experts in their fields. Our producers are responsible for overseeing the entire production process, from pre-production until the final commercial is ready. It’s their job to ensure that we stay within the budget whilst delivering the project on time. Without the crew, there can be no production. The crew is responsible for the technical aspects as well as the creative aspects of production and post production. Members of the crew include the director, the director of photography, the camera operator, the sound recordist, the grip, the camera assistant and the editor. Creative control of the entire project is manned by the director who manages the technical expertise of other members of the crew to ensure a successful production. The scriptwriter is another creative mind with a central role to play in the final commercial. The talents needs a script to work with to guide their actions. It is the words that the scriptwriters pen that are spoken in the commercial and translated into action. This makes the scriptwriter nearly as responsible for translating the brand’s message to screen as the director. For professional grade animation in television commercials, Hightower animators use computer generation software and original designs to bring sequences of drawings and models to life. What space is more important to a person than their home? People’s homes are very personal to them. They want to be able to create their own little havens. Whether you sell DIY products for people who want more of that personal touch or practical items to make day-to-day life easier, we can use television advertising to position your brand or product as the solution the audience needs. The idea is to show that you care. Architects are important to everyone, both in the residential and commercial sectors. People will be extra careful when choosing an architect, so you need to do more than everyone else. They need to know that they can put their vision in the hands of the right person. Let us help you emphasise how qualified you are to take on their next project. Brent or Harrow, Islington or Hampstead, the people in and around London like their spaces to look good. As an extension of their personal style, people pay attention to what their interior design looks and feels like. Whether it’s an office or a home, we can show your audience how much of a difference you can make to transforming their interior. Let us help you stand out from the crowd by crafting a compelling story that gets the viewer interested. Property marketing isn’t the easiest of businesses, especially when the economy is struggling. That means you will have to do more to convince people to spend thousands on a new home. Whether you are trying to get them to rent or to buy, they need to be able to see themselves happy in the property you want them interested in. It’s not only about the property itself, but also about the people the tenants will be dealing with directly. We can help the audience see that you are both personable and credible. People care about their physical and mental health. They are willing to do whatever it takes to ensure that they’re well taken care of. The healthcare industry in London is booming, so you can expect a great deal of competition there, but we can help you stand out from the rest by creating a video commercial that truly connects with your target audience and seamlessly communicates your brand value. Hightower video production company is a full service agency in London where you can expect quality video production. We do everything necessary to produce your video commercial and ensure that it is seen. We have a strong team of script writers, producers, directors, editors, animators, and other professionals who work hard to ensure that we can deliver a wide range of production services we. On many occasions, we have had to construct sets to allow us shoot more realistic scenes and enhance the aesthetic quality of the overall video. Shooting with sets allows us greater artistic freedom and control since we shoot in our studio. Whatever your vision, we can build a custom set to ensure we achieve that. London is home to many tourist attractions well-known around the world. This gives us the freedom to take advantage of beautiful and symbolic locations that can really help drive your message home. Sometimes, we may have to travel to exotic destinations to create a more realistic image. When a project requires shooting on location, there is more work involved. But, we understand the challenges that come with shooting in the real world, so our experienced team is able to handle it all. We can guarantee we will deliver a final product that’s true to your vision. Animation is colourful and exciting. When used correctly, it can give your television commercial the wow factor. Animation commercials are not restricted to children’s products alone. They can be used effectively to communicate your brand message regardless of your industry. Hightower is the right choice when you need a video production company in London that can produce professional 3D, 2D or stop frame animation. We do motion graphics and visual animation, visual FX and photoreal effects, as well as environmental modelling and design. When we say we handle every part of the production process, we mean EVERY part. We will take charge of casting the right talent to make your commercial come to life. Even with a good script and a great production team, the final product has a lot to do with the performance of the actors and voiceover artists. We will only work with the best talent to convey your marketing message. Shots are exactly that – shots, until they’ve been appropriately arranged in a sequence that makes sense. The editor is responsible for bringing all the frames shot by the director during the production phase together into one powerful, cohesive story. For drama and special effects that can significantly enhance your video ad, our editors are skilled in CGI that can take your video to the next level. When you need to draw attention to a specific point in your message, motion graphics and visual effects come in handy. They are useful tools for emphasising important points and drawing the viewer’s eye to a specific part of the screen. We have specialists who can create professional motion graphics and visual FX to help drive your message home. Every aspect of a television commercial must be of the finest quality, including the voice over. To ensure that we produce perfect voice overs, all recordings are done in a top-of-the-range ISDN studio with the latest equipment. As much as the more creative aspects of production are important, the technical aspects matter as well. If you’re a creative agency or a business that needs direct response commercials, Hightower can deliver. We assist clients in running test DRTV campaigns to help them determine if television is the right choice for them. We also do large scale campaigns where we produce as many versions as necessary in order to test the effectiveness of a campaign. When you put out a television commercial, you must do so with the intention of creating as much brand response as possible. We understand the art of creating effective TV commercials, so you can trust us to come up with a television commercial that will have the audience responding favourably. If you are not working with an agency and need someone to take care of any Clearcast requirements, including submitting a television commercial on your behalf, we can help. We have an in depth understanding of the Clearcast requirements regarding on screen text, graphics and supers. If legal text must be included, you can trust us to ensure that it’s compliant with the regulations. We don’t stop at submitting your television commercial to Clearcast. If necessary, we can manage your playouts and have them distributed to the transmission stations in London and elsewhere in the UK or even overseas. The job isn’t over until we secure a solid spot for your advertisement. We liaise with media organisations in London and beyond to ensure that we get the most effective placements for your commercials. Music is such a powerful tool to communicate a message. Whether you’re looking to create something bright and sunny or thoughtful and comforting, we can produce a professional, quality music video to promote your products or services. From the preproduction motions to shooting and music scoring, we manage everything. Whether you have a concept without a script or are looking to develop a script from scratch, you can come to us. Our team includes professional scriptwriters who have experience producing scripts for businesses across many industries. Before an commercial can be put on air, the broadcasting authorities must have seen and signed off on the script. This is an important step of the pre-production process as getting it right can save us a great deal of time and money. When you work with Hightower, you can rest assured that you won’t have any problems with the relevant authorities because we will get the script cleared before proceeding to shoot. Following scriptwriting, storyboarding is an important part of the pre-production process. Based on the script, our artist sets to work creating shot-to-shot representations of the story. With a storyboard, shooting becomes seamless and editing becomes more efficient. Developing concepts for the set design requires a high degree of creativity, which our creative team will manage, having worked on several campaigns across different industries. While one camera may be sufficient for certain kinds of shoots, there are certain production situations that require more than one. The camera setup can make a huge difference to the level of professionalism seen in the final product. Our crew is well versed in the execution of various filming techniques, so you can trust us to do a good job, no matter the nature of the shoot. As we often have to shoot for one project or another, we have found it more practical to own our own equipment. If you are working on a television commercial and need to hire equipment, Hightower can help. Whether you need heavy duty or a few specialist pieces of equipment to perfect your set up, don’t hesitate to call us. Music clearance and licensing is an important part of the production process. Finding the right music for your commercial is one thing and ensuring that it is okay for us to use it is another. 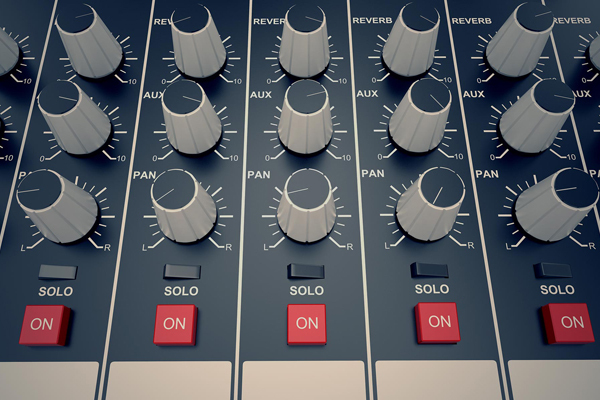 To avoid dealing with copyright infringement issues, we’ll take all the necessary steps to ensure that we are clear to use any tracks that feature in the final commercial. Sometimes, it’s more authentic to use original music for a television commercial. From song writing to recording, mixing and mastering, we can produce original music that is the right fit for your brand and your marketing message. In some cases, sound dubbing would be better than a voiceover. Professional voice actors make recordings which are then mixed with the original audio of the footage. The benefit of dubbing is that it’s more precise and uses tools such as accents, tonality, nuance and dialects to make a message richer. We have done dubs several times, so we are well-versed in the technical aspects of dubbing. You can reach as many of your target demographics as necessary, and in their own language. 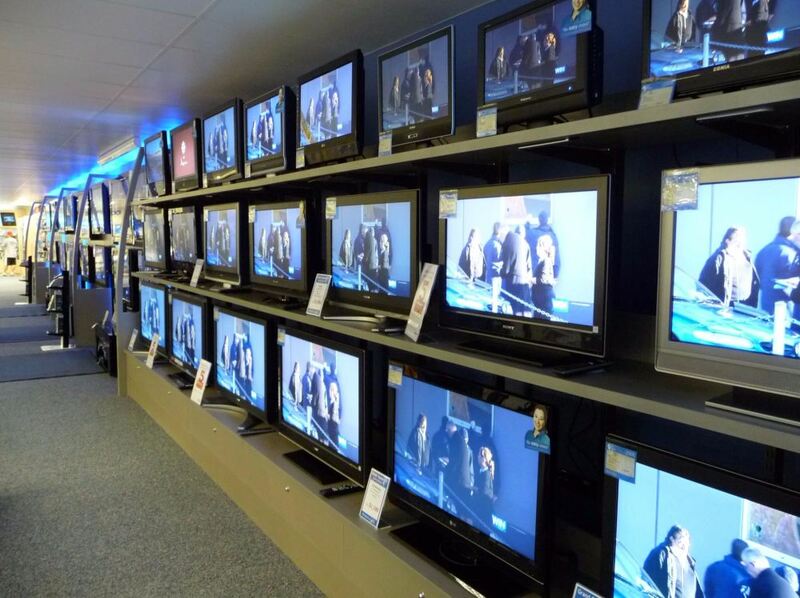 The quality of commercials that you see in the UK are the result of careful monitoring of technical standards. To reach the broadcasting standards enforced in the UK, we do a frame by frame check of every commercial that we produce to ensure that it is ready for delivery. Some of the technicalities that we check for include consistency in sound and picture quality, as well as clarity in the dialogue. Project management is essential for every production. Without it, production density can increase and cause you to lose money and time. We understand the tough nature of production and have successfully dealt with impossible situations in the past. Trust us with the project management for your next production project and you can be certain of finishing on time and on budget. We do not stop at getting your commercial aired. You need to track how much return on investment (ROI) it generates. We can help you determine effectiveness of your ad while tracking and analysing sales against the commercial. It is the only way to determine how many of your marketing objectives have been achieved. Whatever the size of your budget and how quickly you need your commercial done, Hightower is the professional video advertising production company in London to contact. You can speak to one of the producers today when you call 020 7078 7270. We can’t wait to hear from you! Section 19 of the BCAP code has detailed information about the new rules regarding foods that are high in salt, sugar or fat. It was introduced in 2007. We’re producing a bingo, gaming, lottery or betting ad. What should we look out for? The rules that apply to these kinds of ads are complex, but we can advise you on how to produce such material to avoid any problems. You can learn more about the rules concerning these kinds of ads in sections 17 and 18 of the BCAP Code. Can we create an ad that’s sponsored by a company? Yes, but we don’t clear those kinds of ads. Instead, the broadcaster of the channel where the ad will appear is responsible for clearing it. Yes, it does. If your ad contains a limited offer, the audience must be given enough time to decide whether they want the offer or not. Does Hightower clear cinema ads? We don’t clear cinema ads, the Cinema Advertising Association does that. Does Hightower clear pitch scripts? We don’t clear pitch scripts but if you’d like our feedback on your pitch, we offer a premium service for that. What’s the difference between a rough cut and clocked ad? A rough cut is an unfinished version of the ad, which may have defects. A clocked ad has been given a clock number and is ready for broadcast. You’ll have a copy executive assigned to you. Or, you can call us anytime on 020 7078 7270. Whether you’re in UK or somewhere else, whatever you’ve earmarked for your budget, you can expect a creative and professional production service from Hightower. Call 020 7078 7270 and speak to one of our producers.